Top Tips For Decorating Your Home When You Have Kids. We all want a beautiful home, however it can sometimes feel like a bit of a losing battle when you have kids! My home has slowly but surely become filled with toys, books and trinkets the kids have made which means more and more storage and less space! Last summer we started redecorating our house and realised that when it comes to decorating once you have kids it definitely changes the way you think about how you want things to look and work within the home. For us now its more about practicality than pretty and definitely more about being functional and working in our busy home. Here are some top tips to consider when decorating your home when you have kids! - Think practical, whilst white paint and delicate wallpaper make look lovely, it may not stay looking lovely for long! We all know that kids have a habit of drawing on walls or touching things with mucky fingers and replacing wall paper can be really tricky if one piece gets marked or dirty. Using a silk paint or a durable paint is a much more hard wearing option for walls. There are lots of ranges of paint out there now that are specifically designed to be durable and wipe clean so these are a great option for areas where kids can reach. Its also a good idea to grab a couple of tester pots in the same shade you choose to keep in the cupboard. These can be used to touch up any marks or chips in the paint and are easily stored until needed. - Whilst carpet may feel soft under your feet, its not very practical when kids are concerned. Having a hard wood or laminate flooring can be a much more practical solution. That's because it is easy to wipe clean or mop when spills happen. In our first home our carpet got destroyed as soon as James started potty training and it felt like I was constantly trying to scrub the carpet or hoover things up. It never felt clean though and when sickness bugs hit and can be so tricky to get the smell or stains from a carpet. 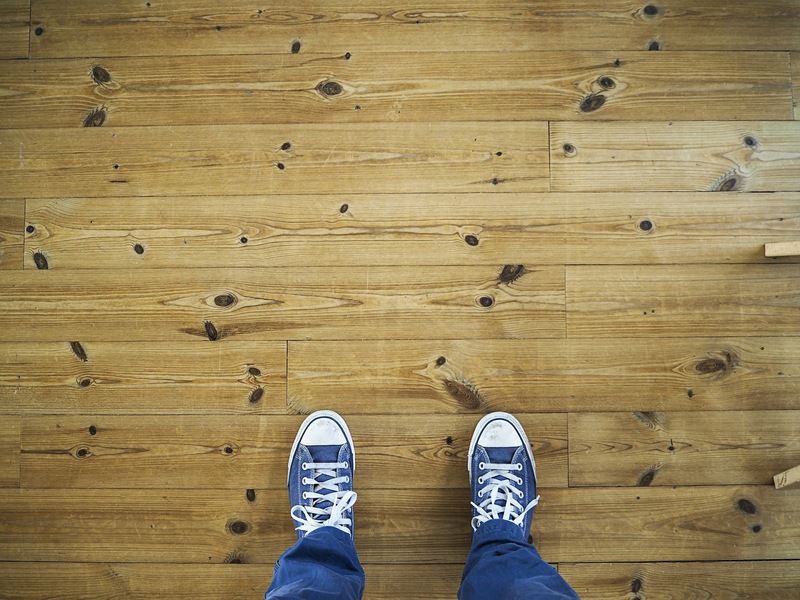 Whereas a wooden or laminate floor can be instantly and quickly cleaned and disinfected if necessary with ease. - Lots of storage! Once you have kids you realise just how quickly you house becomes consumed with toys, books and other random things. However plenty of storage means that things can at least be tidied away when not in use. Having toy chests or low storage that kids can access are best for toys as it means kids can access the contents themselves. Its also a good idea to factor in some "out of reach" storage for trinkets and items you don't want the kids getting hold of. High shelves can be a great solution to this and a great way to display things too. - We all know how quickly our children grow and how quickly their interests change. One month they want a bright pink princess room, the next they think that's babyish and you have to redecorate all over again. Using a neutral base colour and then applying wall decals or a feature wall with lots of pictures and posters and frames can look great and its also really easy to change when their interests and styles change too! - If you have young children think about safety when planning your décor and furniture. Are there any sharp corners on tables and cabinets etc that would benefit from corner protectors. 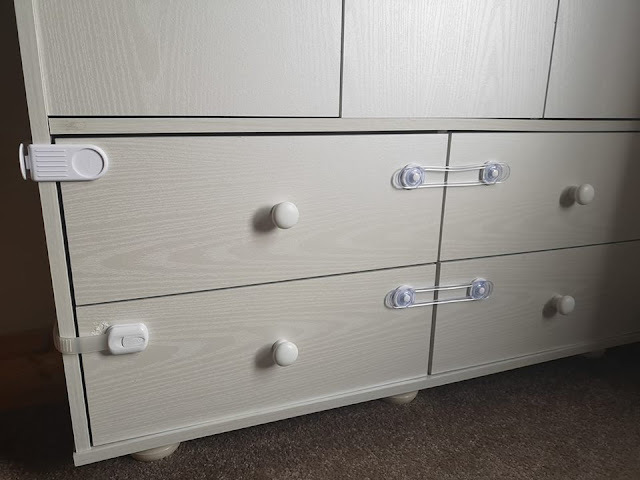 Any cupboard that could use locks to keep chemicals or electricals away from little hands. Any plug sockets that would benefit from covers and things like that. 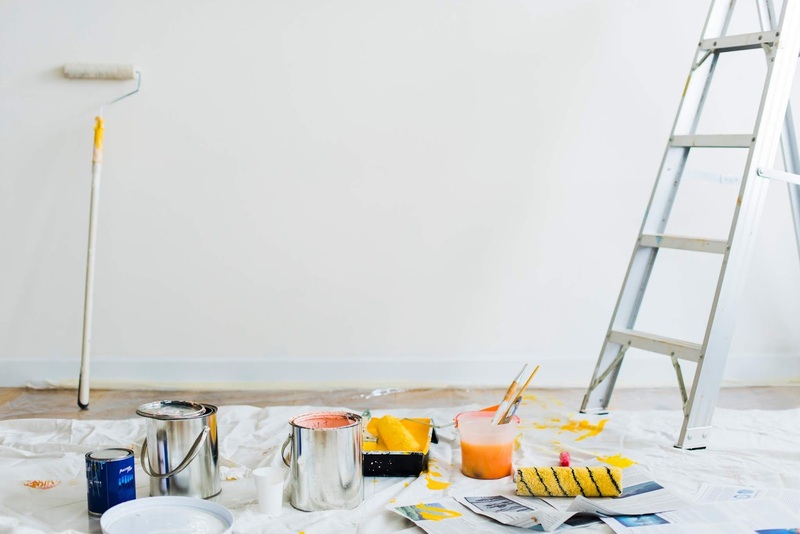 Planning the safety aspect if during decorating can make it quick and easy to implement straight away. Photo by Lyndsay from Me, him, the dog and the baby. Thank you so much to Sophie, Jenna, Kate and Becky who helped contribute to this post with their top tips and comments. Do you have any top tips when it comes to decorating your home to be suitable for kids? I discovered how much storage you need when you have kids. What ever you have it never seems to be enough!!!! Decorating with children is totally different! We did a 2 major jobs on our place over the last year and it was quite challenging to include the adaptations for our two littles! Great ideas here.